Our approach values both immediate solutions and the development of programs for long-term success of the district and students. LCFF is designed to allow each district to address academic needs of subgroups (LI, ELL, FY) that need additional financial resources to support their education. It establishes an accountability structure within the LCAP through steps identified for increased funding. The top Priority of the LCAP is to design programs and supports for “Improved and Increased” academic success of all students. 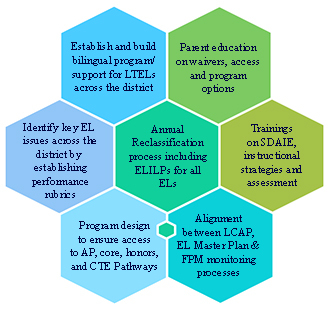 TSS and its team of EL experts are ready to assist you with these steps to establish site and district level accountability within the LCAP for EL students across preK-12. Hiring and retaining successful principals and other administrators and ensuring their success can be a challenge sometimes. While mostly the educators hired in these positions are appropriately qualified, the leadership effectiveness of these individuals is often not proven until after they assume their positions. TSS’s principal and administrator coaching is an excellent way to provide on-the-job practical support and leadership training for new site and district leaders. 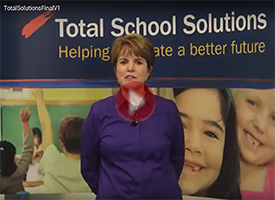 The coaches at TSS are not only qualified, but committed to helping school leaders succeed. Our professionals have enjoyed great success in providing valuable support and coaching to principals and other administrators at all levels in our client districts. To request more information on these coaching opportunities, please click here. Enjoy a comprehensive publication for the instructors, administrators and other classified employees alike. 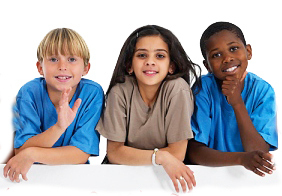 Stay up-to-date on key eduaction news and inside information. Visit edbrief.com to review and subscribe. TSS is offering a wide array of professional development activities for teachers and administrators, as well as a large slate of school consultancy services internationally. To see the course list, please click here. Please contact us for details regarding these services. TSS is offering comprehensive training programs for leaders in certain critical classified management positions. These excellent training programs will minimize future hiring risks by preparing a pool of properly trained candidates for these positions. These in-depth and focused programs will also provide opportunities to build local capacity by having incumbents and other existing employees with promise and potential properly trained. Director of Maintenance & Operations. Here are the professional development events presented by Total School Schools (TSS) this fall. These trainings for administrators, teachers and school staff are designed to help improve instruction and services to students. The presenters of these courses are well-recognized and acknowledged leaders in their respective fields and have years of experience in educational leadership and staff development. For detailed information about these courses, please click here to see the schedule and to register. Please contact Aaisha Ahad, should you have any questions.